Shanghai Ring Light Digital is a Chinese company that offers or makes photography accessories. Flag-ship products are its O-Flash ring flash-light-redirectors for macro photography with modern Nikon and Canon flashguns. 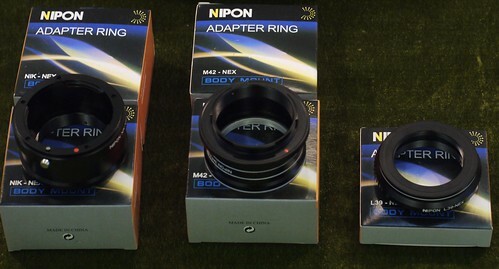 Adapter rings for mounting manual focus lenses onto Sony NEX camera bodies, showing former brand name "NIPON"